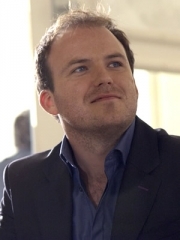 Rory Kinnear is an award-winning English actor who has worked with the Royal Shakespeare Company and the Royal National Theatre. The son of actor Roy Kinnear and actress Carmel Cryan, he has two older sisters, Kirsty and Karina , and is the god-son of Michael Williams. He was only 10 years old when his father died from injuries suffered in a fall from a horse while working in Spain. Educated at Tower House School and St Paul's School , he read English at Balliol College, Oxford and then studied acting at LAMDA. He is also the grandson of the Scottish rugby player Roy Muir Kinnear. Kinnear's performances in Phyllida Lloyd's production of Mary Stuart and Trevor Nunn's Hamlet, in which he played Laertes, met with acclaim. He also achieved recognition as the outrageous Sir Fopling Flutter in The Man of Mode at the National Theatre, winning a Laurence Olivier Award and Ian Charleson Award. Other notable theatre work includes the lead in Thomas Middleton's The Revenger's Tragedy, the role of Pyotr in Gorky's Philistines and the role of Mitia in a stage adaptation of the Nikita Mikhalkov film Burnt by the Sun, all for the National Theatre. Further to his theatre work he received particularly positive reviews for his sympathetic portrayal of Denis Thatcher in The Long Walk to Finchley , a BBC dramatisation of the early years of Margaret Thatcher's political career, which also starred Andrea Riseborough and Samuel West. He portrayed Bill Tanner in the Bond films Quantum of Solace and Skyfall . In 2010 he played Angelo in Measure For Measure at the Almeida Theatre. Later in 2010 he played the title role in Hamlet at the National Theatre. The two portrayals won him the best actor award in the Evening Standard drama awards for 2010. In 2010, he played Flugkapitän Jürgen Rahl in the BBC Radio drama Slipstream as a disaffected German pilot who joins a mission to steal an alien spacecraft harboured by the Nazis. He also starred alongside Lucy Punch and Toby Stephens in the BBC Two series Vexed. Broadcast on 19 October 2010, he was the co-lead in the BBC4 TV drama, The First Men in the Moon written by and co-starring Mark Gatiss. In 2011, he provided narration during the BBC Proms production of 'Henry V - suite' arranged by Muir Mathieson during their Film Music Prom. He appeared in the lead role of Prime Minister Michael Callow in 'The National Anthem', the first instalment of Charlie Brooker's miniseries Black Mirror. In 2012, Kinnear will feature as Bolingbroke in Richard II, a BBC Two adaptation of the play of the same name, with Ben Whishaw as King Richard and Patrick Stewart as John of Gaunt. Whole or part of the information contained in this card come from the Wikipedia article "Rory Kinnear", licensed under CC-BY-SA full list of contributors here.